England is home to international cricket, despite terror attacks, but Pakistan isn’t? It will be difficult to forget Pakistan’s ascendancy in the recent ICC Champions Trophy, given the perpetual celebration that has ensued since the country’s improbable victory against India. In addition to waxing nostalgia about his personal prowess on the field, Prime Minister Nawaz Sharif embraced the national cricket team in Islamabad with all the expected pomp and pageantry. This seems justified in a country whose cricketers flourished in England despite the limitations of the system that produced them. Thus, we revelled in Fakhar Zaman’s audacity to challenge premier pace attacks despite inexperience; in Hassan Ali’s guile and animated celebrations; and in the resurrection of Mohammad Amir, who was once cricket’s greatest wunderkind. They, along with timely contributions from others, summoned the ineffable Pakistani cricketing magic that makes the impossible seem inevitable. Yet it is difficult to untangle the euphoria of this victory from the shadow that chronically lurks behind Pakistani cricket – the tragic events that befell Sri Lanka’s cricket team on March 3, 2009. On this day in Lahore, a contingent of 12 gunmen fired at a bus carrying the cricketers. Their bullets injured six people and killed eight while forever shattering Pakistan’s international cricket stadiums. Eight years, two ICC trophies, and a number one Test ranking later, Pakistan is still waiting for international cricket to return to its soil. The effects of such heinous terrorist attacks are numerous. Economic, human, political, psychological and social impacts can be enumerated. But terrorist attacks in Pakistan equate to the marginalisation and pariah status for our cricket team. Each act of terrorism has widened the chasm between the world’s cricketing nations and Pakistan. The Pakistan Cricket Board (PCB) has been reduced to making entreaties to the ICC or other cricket boards to send a team or some semblance of a team. Now there is talk of a ragtag World XI that will visit later this year. Even this is most likely conditional since appropriate security arrangements need to be demonstrated first. There are definitely going to be other hurdles as well. One terrorist attack and hopes of international cricket in Pakistan will be extinguished once again. These pains and concerns go beyond lost revenue or the stifling effect it has on developing the next generation of Pakistani cricketers. This pain became palpable after the recent terrorist attacks in Manchester and London and the double standards they exposed. The Manchester Arena bombing on May 22, 2017, happened before the warm-up stage of the Champions Trophy and the cricket teams had already arrived in England for practice and acclimatisation. The London Bridge attack on June 3, 2017, occurred during the early stages of the tournament. Both harrowing incidents happened unexpectedly and claimed numerous lives and injured many. These incidents were like any other dastardly act that targets innocents in Pakistan. And yet, unlike the response to Pakistani incidents of terror, no foreign cricket players or boards refused to play any further matches in English cities, voiced concerns about safety, urgently arranged flights to exit the country or requested significantly increased security. 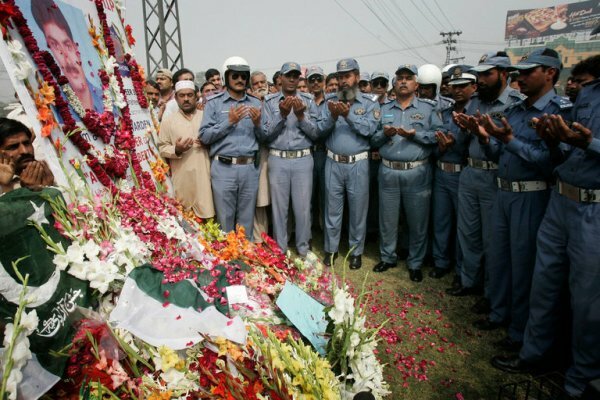 It can be said that Pakistan’s situation is unique since cricket players were directly targeted (Sri Lanka in 2009 and New Zealand in 2002) in the attacks. However, the attacks in Manchester and London were not directed at cricket players, thus the varying reactions towards each attack would inherently be different. Furthermore, the muted response and lack of hysteria after the events in Pakistan were evident when compared to the aftermath of the Manchester and London attacks. All teams continued to play in England despite the proximity of the attacks to the stadiums and the short duration of time between them. Even though the Pakistan Super League (PSL) tried to bring international cricket home, most of the big players did not come to play in Lahore. This reminds us that terror can strike unexpectedly in any city or country, regardless of developed or developing countries’ designations. Despite the best preparations and security deployments, it is oftentimes difficult to foil the malice that propels depraved individuals to kill indiscriminately. This rings true from New York to London, to Baghdad to Paris, to Damascus to Brussels, to Mogadishu to Lahore. It is often mentioned that society’s best response to terrorists is to not capitulate to them and their wishes. And so, cricket rightfully went on in England during the Champions Trophy. Despite a marked reduction in terrorism in Pakistan, the country has been wholly and unfairly dismissed as a destination for cricket. 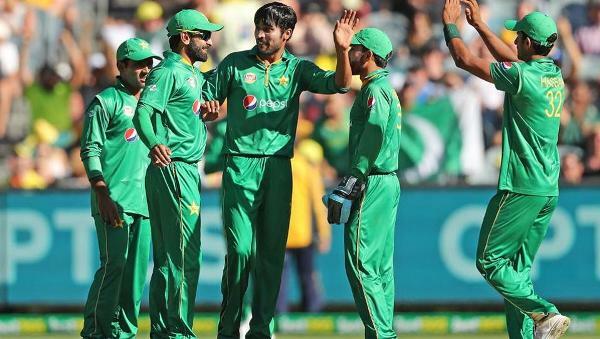 As the Pakistani cricket team attempts to parlay its recent success into reviving international cricket at home and healing the wounds of a nation blighted by terrorism, it will need unbiased and enlightened support from the ICC and its member countries. Pakistan does not have a unique patent for terrorism; the events in Manchester and London proved that. Thus, there should be no arbitrary standards for where cricket is permissible and where it is not. Let’s hope international cricket returns to Pakistan sooner than later. Do you really need others to tell you the reason for that? That’s because international teams have not been attacked in England, the way the Sri Lankan team was attacked in Lahore. That’s because England doesn’t have it’s state sponsoring outfits like JUD aka LeT aka FeI, JeM, HuM, HUJI, Haqqani Network, Taliban terrorists and any assortment of acronyms. That’s because OBL wasn’t found at the gates of Sandhurst the way he was found as a guest of the residents of Kakul. That’s because they don’t host terrorists of the worst orders in places like Manchester or London or Dover the way Pakistan hosts them in places like Karachi, Muridke, Bahawalpur, Quetta, Pindi, Mansehra etc etc. There is no official ban on international cricket in Pakistan. International teams were “highly” uncomfortable playing in Pakistan, even before the Sri Lankan team was attacked. It is a matter of perception. Pakistanis have a bad reputation in the west – considering west’s no. 1 enemy was living next to an Army garrison – and it will take time to dampen this dark image. PSL is an excellent start, because it will cause Pakistan’s standing to improve as the time passes on and more established gora cricketers become interested in playing. Comparing the UK with Pakistan is antithetical. The whites are not coming out in droves and mass murdering people of color in the name of Islam. It is the exact opposite. @Jalal Baig (author) – Its true that having the skills to write is not everything. The difference between Pakistan and England, infact between Pakistan currently and the first world is that Pakistan lacks a national narrative. These nations have a unanimous narrative against terrorism, of all sorts, types and kinds. Whereas we still have people who will justify the bombings on civilians. This absence of a general collective unanimous narrative provides non-actors a vacuum to pitch in what they feel is the “RIGHT” way of getting their message across. And hence no matter how hard we hit them the ideology prevails. In England, all terrorist were caught and punished with all due transparency, while in Pakistan neither none of the attackers on Sri Lankan team is tried and punished in open court. We still do not know who bombed the French sailors in front of New Zealand cricket team hotel. Not more prone, but prone. That is why they are now anti-immigration from Muslim countries. Take the Muslim immigrants out of the picture and figures change dramatically. Pakistan is sheltering Terrorist groups like Afghan Taliban, Al Qaeda(Osama died in Pak), LeT, JeM, Hizbul Mujahideen. All the leaders of the above mentioned Terror groups lived or living in Pakistan. Pakistan’s war on Terror is a sham. It only has killed innocent Pakhtuns and Balochis. 1) Wrong reference of data, when comparing frequency of violence and volume. 2) Victims were mostly British, as were the targets in UK. Victims and perpetrators were both Pakistani. Less chances of an attack in UK.